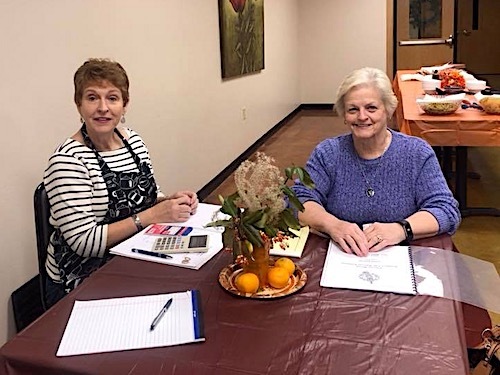 The Louisa Chapter of DAR met on Tuesday November 27, 2018 in the Cafe of the Louisa First Baptist Church. Opening Rituals were read and business was conducted. Theresa Chaffin read an article for the Indian minute which shares stories about native Americans and families during the Revolutionary period. 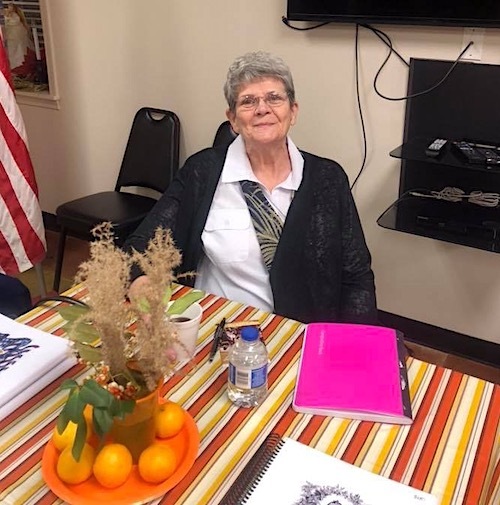 Myrtle Walker presented a program on Trinity Christian Academy and Tamassee DAR School in South Carolina and introduced her incentives for teacher Appreciation day. 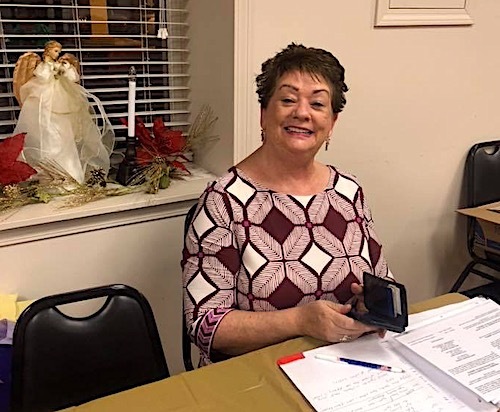 Evelyn DeBoard read the treasurer’s report and also presented a check of three hundred dollars to the chapter from the East Kentucky Genealogy and History Conference. Lynn Courtney read the minutes from the October meeting. Regent Sabrina May read the report for Literacy in the absence of Patricia Hatfield, who was unable to attend. Nine hundred books were distributed at the annual book giveaway that was held in front of the Louisa Food City earlier in November. Patriotic Committee chairman, Freddie Daniels, was also unable to attend but all the donation boxes have been placed at various businesses for the annual Donation Drive for Veterans. Sunshine report was given by Chaplain Sheila Kensinger. Lynn Courtney donated enough Christmas cards to be given to all the residents at The Jordan Center. Also discussed was how to honor the eight veterans residing at the local nursing home. The desert table was delightful. 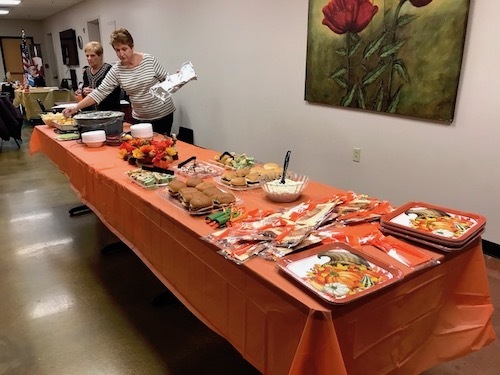 Hostesses were Evelyn DeBoard, Lynn Courtney, and Theresa Chaffin. 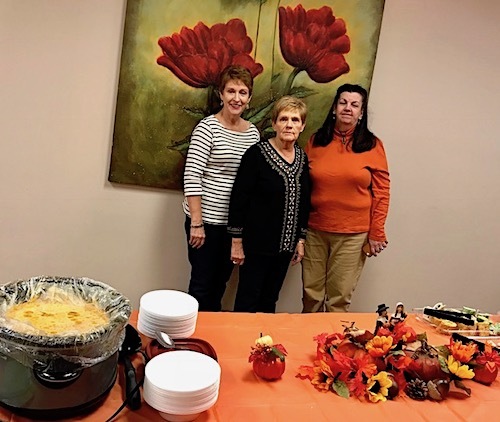 Hostesses for the night were Evelyn DeBoard, Lynn Courtney, and Theresa Chaffin. 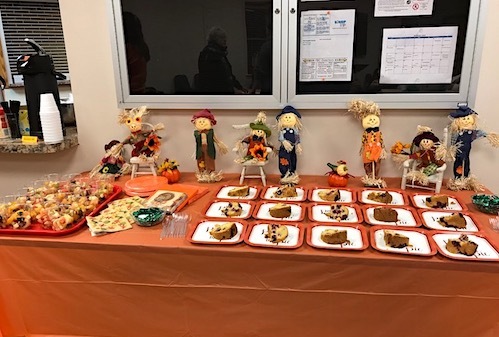 Everyone enjoyed the Corn chowder and muffins, various meat and cheese rollups, pulled pork sandwiches, chips, fruit cups, and homemade blackberry pound cake. 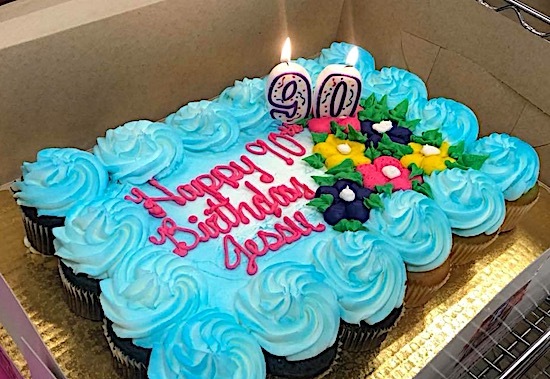 A surprise Birthday party was given for Jesse Salyer, who is a young ninety years old and a DAR member for 69 years. 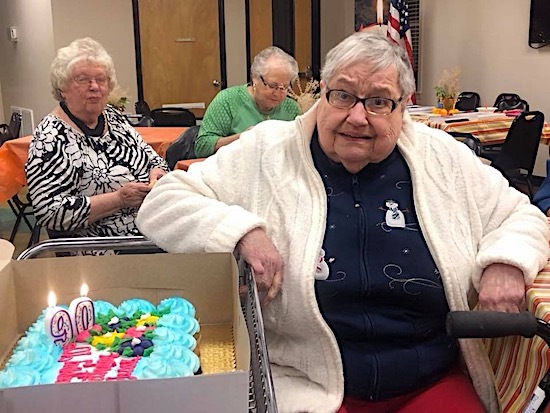 She was very pleased with her birthday cake and gifts. The annual DAR Christmas dinner and auction will be December 11, 2018 in the cafe of Louisa FBC at 6:00 pm. The dinner is fifteen dollars per person. November 29, 2018 is the deadline for payment for the dinner. Each person is asked to bring an item for the auction. There are no regular DAR meetings in December and January. 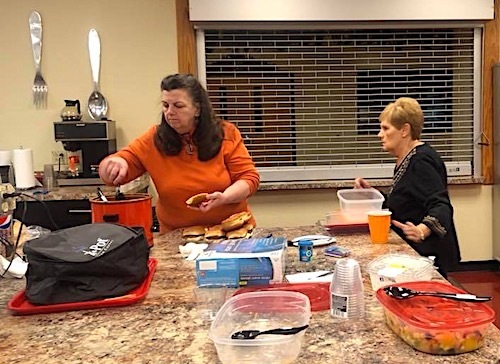 The next meeting will be in February 2019 at the same location and time. Meetings are always held on the fourth Tuesday of the month. Please come to join us in February of the New Year!